Percussion Mega Pack - Over 2500 Percussion Sounds! 6 Best Selling Sample Packs in 1 - SAVE MORE!! 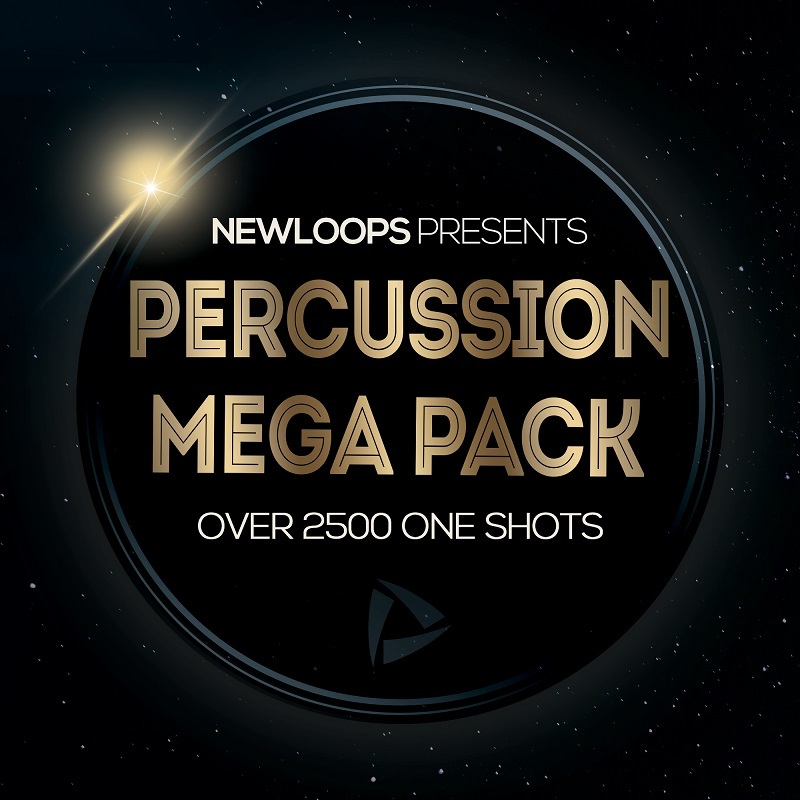 New Loops Percussion Mega Pack combines 6 high quality audio sample packs in one easy download delivering over 2500 percussion and drum one shots including multi-sampled concert percussion and analogue drum machines. Premium Hi Hats and Rides. As with all New Loops sample packs, once purchased Percussion Mega Pack is 100% royalty free to use in your songs and audio productions. We are sure you will find this sound library a great resource for years to come. Please note: This audio sample pack is in WAVE (.wav) format. Audio Wav format works with any software compatible with the standard WAV format. Full details of each included pack can be found at NewLoops.com. 150 Processed Claps and Snares. 77 Raw Analogue Claps and Snares. 25 Sound Effects (Impacts and Special FX). 150 Claps and Snares with UAD Plate Reverb. 76 Miscellaneous (Tambourines, Shakers, etc.). 52 Sound Effects (Transitions and Special FX). Please note: Some of the 'Miscellaneous' sounds (shakers) are taken from our 'Percussion' library. 25 Kick FX (Impacts and Special Effects). A detailed collection of the finest quality deep, kick drums. Deep Kicks contains 140 Kicks divided into two folders: 75 Long Kicks suitable for Urban styles like Hip Hop, Pop, R'n'B and Trap, and 65 Short Kicks which are suited to House, Techno, Trance and EDM styles. Made from scratch on an Elektron Analog Rytm drum machine and featuring 30 original Kicks, tuned in seven different keys providing 210 variations, each Kick tuned in keys D, E, F, G, A, B, C. Also included are 25 bonus kick sound effects to add impact to your tracks. 30 original kicks tuned in keys D, E, F, G, A, B, C.
25 bonus kick sound effects. New Loops 'Percussion' is a unique mix of live and synth percussion in a single package and features a total of 1297 high quality percussion sounds. To make this percussion library we recorded tens of thousands of pounds' worth of concert instruments including a 4 piece Timpani, Xylophone, Glockenspiel, Tubular Bells, Orchestral Cymbals, Concert Bass Drums, Symphonic Gong and loads more. 611 Classic and Modern Drum Machine Sounds. 110 Shaker and Tambourine Wav Loops (108 Rex Loops). Concert, Live, Tuned and Drum Machine Percussion. Multi Sampled Tuned Percussion Instruments. Multi Sampled 4 Piece Timpani. Download Size: 850 MB (.zip).